Everyone and indeed, everything, has a story to tell. And I enjoy reading/ hearing about them. My hyper-active imagination has led me to scrapes from time to time in the past, but for the most part, it has saved me from unavoidable bouts of ennui born out of a life built around the 7- to- 11 routine. Over lunch, I realized how unique and individually lovely my colleagues’ baubles (I kind of hate this word, but yeah) were. 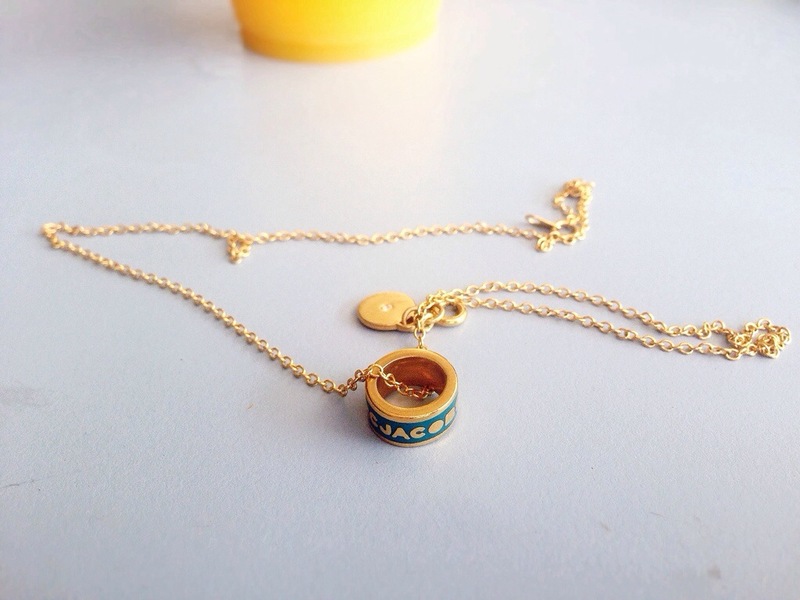 Yvonne’s enamel and gold plated necklace was a Christmas gift from one of her sisters last year. 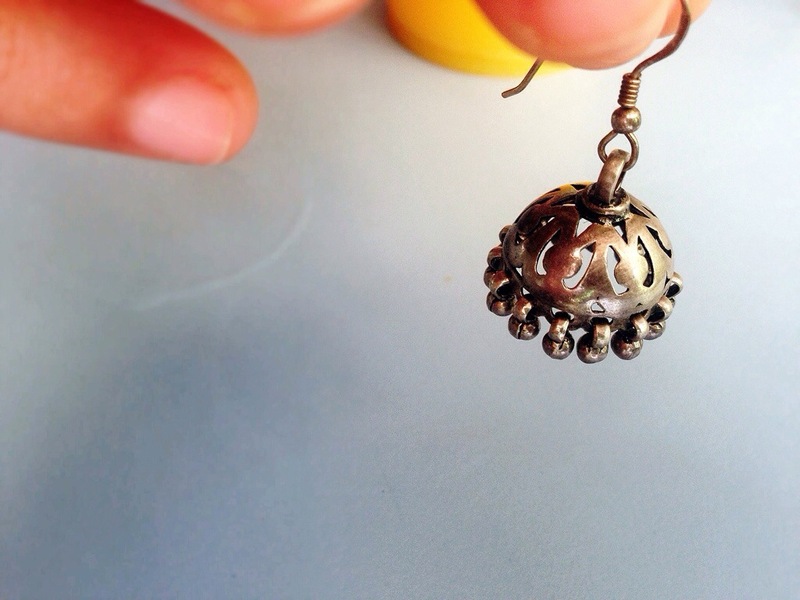 Tenny purchased her intricate silver jhumka earrings from a boutique in Kochin (India) some four or five years ago! Ying Ying recently made a weekend trip to Penang (Malaysia), where she chanced upon a cutesy cat cafe. 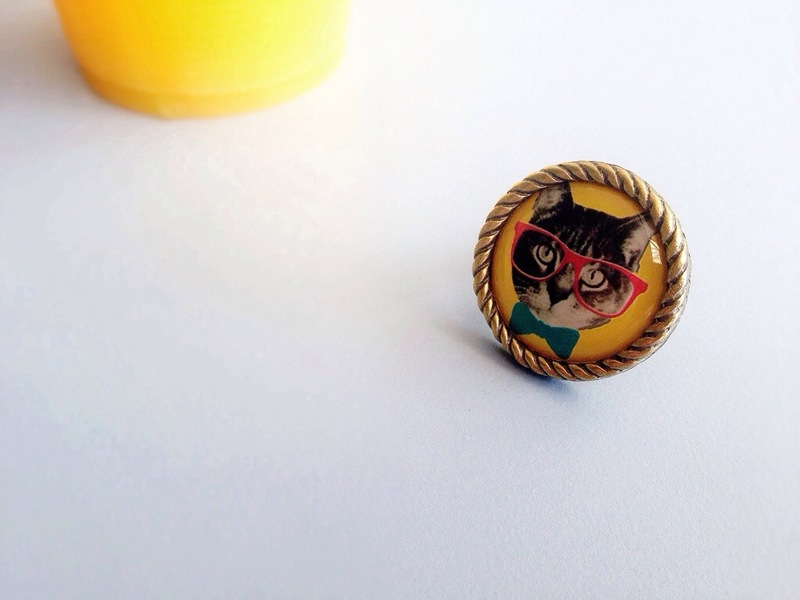 She bought her hipster kitty ring from there too. Now I wonder, what stories would your accessories tell about you? Next Post holy moly holi!